With roughly 10,000 Americans turning 65 every day, the federal government is implementing a plan to make it less lucrative for your physician to prescribe the most expensive prescription drugs for your condition. 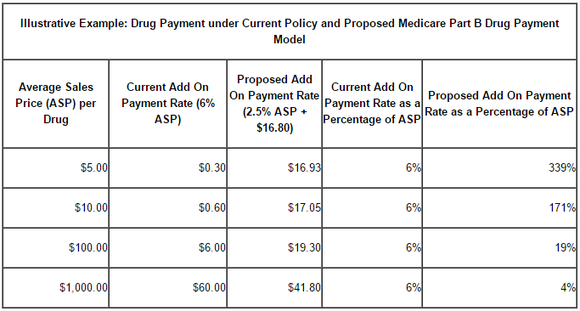 When a physician prescribes medication under Part B (these are usually injected medicines), Medicare will pay a percentage of the cost as an add-on bonus meant to help them cover the cost of your care. By converting a portion of that to a flat fee, the government hopes to reduce the incentive to administer the most expensive drugs in favor of the most appropriate drugs. The plan’s ultimate goal is to keep your Part B premiums affordable.